Matt Cruze is a young man who lives in a world where there are no airplanes; instead beautiful and graceful airships float over the seas and lands. He feels that he is incredibly lucky because he has a job on one of these huge floating palaces. As a cabin boy Matt has to do a little bit of everything; helping to serve the guests at mealtimes, welcoming them aboard when they arrive, and taking his turn as the lookout. It is when he is serving in this latter role that Matt’s adventures begin. As he is scanning the skies, Matt sees a balloon in distress and after much labor on his part, he manages to rescue the only passenger on board. Unfortunately the passenger does not survive. 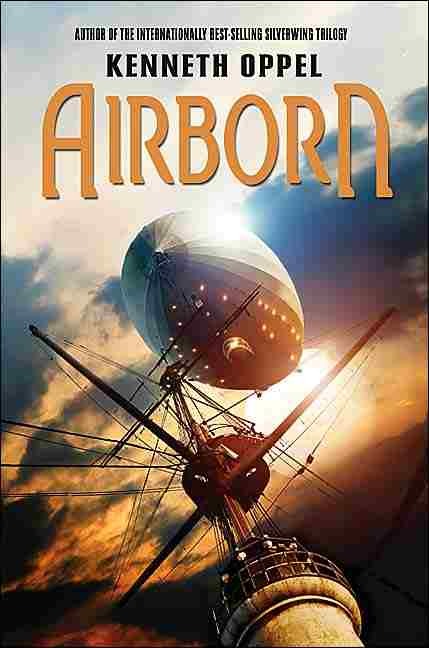 Though he pities the old man who floated across the skies in his lonely little basket, Matt soon forgets him and gets on with his work on his beloved airship, the Aurora. Some time later however he is forced to remember the incident when the old man’s granddaughter, Kate de Vries, arrives on the Aurora. With her Kate has brought her grandfather’s journal and within its pages Matt reads the most extraordinary account of discovery. It would appear that Kate’s grandfather found some incredible animals living in the skies above a small island. His description of the creatures is enough to make any biologist or zoologist salivate: an animal that lives in the sky exclusively, even to bear its young. How can such a thing be possible? Matt is not sure what to think about what he has read, but Kate is sure that her grandfather did see the animals, and she wants to find them for herself. Her hope is to clear her grandfather’s name, proving that he was not crazy or seeing things but that he had in fact found a new and remarkable species. Furthermore she wants Matt to help her achieve her goal and Kate is not one to take “no” for an answer. Unfortunately for the passengers of the Aurora they run into dreadful trouble. There is an attack by pirates and the Aurora has to crash land on a small and seemingly deserted island in the middle of the wide ocean. Badly damaged, the captain of the Aurora is not sure if he can get his vessel to leave the ground again. Worried about this very trying state of affairs Matt is further bothered when Kate persuades him to go inland with her. Together they make two discoveries which change their lives forever and which threaten the survival of the Aurora and all of her passengers. Thrilling, completely unpredictable, and moving, Matt’s story is one which stands out as being very special indeed. We are able to see Matt change from being an idealistic boy who flees from his grief, to a young man who has to face his demons and accept that things are not perhaps the way he has convinced himself they are. In a very short period of time Matt (and the reader with him) experiences violence, death, loss, triumph, courage, and love. Kenneth Oppel has created a superb book full of the essential elements of life which makes a book become a classic. Dare one hope that a second book about Matt and his further adventures may soon be on the bookshelves?